DISABILITY PROCESSING DELAYS: WHY DOES IT TAKE SO LONG? Many potential clients I speak with daily are shocked to learn that the average wait time for a disability decision with the Social Security Administration is two years. Yes, you heard me correctly – two years. Why is that? First, most applications are denied. Second, the time period for a decision on the initial application is five months. An appeal to the next level of review (reconsideration) is three to five months. The next level of review – and where your best chance of a favorable decision exists — is the hearing level. The current approval rate in Georgia at the hearing level is 48%. But wait times for a hearing are currently over a year. Here are the official wait times for a hearing in Georgia: Atlanta Downtown Hearing Office – 20 months; Atlanta North Hearing Office – 18 months; Covington – 18 months; Macon – 16 months; Savannah – 17 months. From a 2017 CBS News report, there were 1.1 million applicants waiting on a hearing before an administrative law judge. That is a 31 percent increase from 2012. However, the agency’s annual budget is the same as it was in 2011. Five years ago the hearing wait times were less than a year. 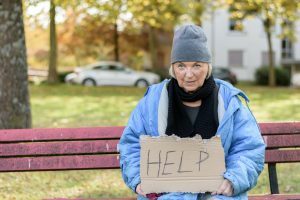 “No search for efficiencies, reprioritization of tasks or technological improvements can substitute for adequate resources,” said Lisa Ekman of the National Organization of Social Security Claimants’ Representatives. Once you have filed your Social Security Disability benefits claim, it is recommended that you check the status at regular intervals. It’s also important to understand that the Social Security Administration (SSA) is typically inundated with disability benefits claims, and therefore, a decision may not come early. Further, a decision will depend on a number of factors which include the type of evidence that you submitted, and the nature and severity of your disability. The decision time also depends on whether SSA will require further evidence in the form of a medical examination. All of these factors can delay your claim. In addition, a decision usually takes time because claims processing is typically a tedious process. It’s therefore important to begin filing your claim immediately. Speak to an Atlanta Social Security disability benefits lawyer for help filing a claim. Also, remember that although most claims are denied initially, you should not give up. Many claimants are able to receive benefits via the appeals process. My Social Security Benefits Claim Was Denied. What Should I Do? Having Your Social Security Disability (SSD) claim denied can be disappointing, but it doesn’t mean that all is lost. As long as you take the next best steps, you may very well be able to earn an award of benefits. However, you will want to take action and appeal the denial as quickly as possible. There are strict time limitations that apply to most appeals, and if you do not file an appeal within the time period, you could actually have a claim dismissed. Many persons who have their claims denied are so discouraged that they do not appeal. They give up on their claim being approved, fatigued by the long period of time it often takes for a decision. In other cases, people make the mistake of filing a brand-new claim in place of the denied claim. Tagged: "appeal to SSA" and "denied disability claim"
As of December 2012, the Social Security Administration had 1,566 administrative law judges on its roster. That is a few judges more than the initially stated goal of more than 1500 judges. In 2009, the Social Security Administration had a severe shortage of administrative law judges, with just 1000 judges. The increased number of administrative law judges who are now available to hear Social Security disability hearings will definitely have an impact on the speed with which claims can be processed. The Social Security Administration is currently dealing with a major backlog of claims, and the average claim can take months to be processed. Increasing the number of judges is just one way in which some of that backlog pressure can be released. However, it’s far too early to expect any improvement in the speeding up of claims processing. The Social Security Administration’s ability to retain the administrative law judges that it currently has might be hampered by federal budgetary restrictions. 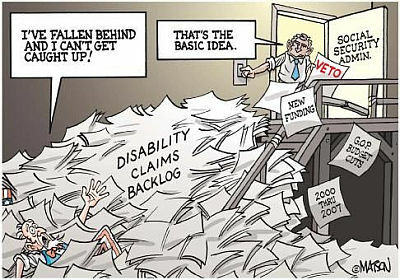 Tagged: "Backlog of disability claims"
The Social Security Administration is so overrun by pending claims that officials are unable to conduct adequate reviews of applications, compounding problems at the already beleaguered agency. A report released recently by congressional investigators revealed to Georgia social security claims lawyers that officials at Social Security are frequently overworked, and often, award disability benefits without conducting a proper review of these claims. The investigators analyzed a total of 300 Social Security applications from Alabama, Oklahoma and Virginia. In all of these cases, persons were awarded disability benefits. However, in more than 25% of these cases, the benefits were awarded without taking the consideration the presence of insufficient or incomplete evidence. The investigators found that in several of the cases that were analyzed, Social Security officials approved of the claim without the benefit of strong medical evidence to corroborate the finding. In other cases, investigators were not able to explain their medical basis for the decision adequately. In yet other cases, the judges were overworked trying to deal with the case backlog, and were simply not able to review all the pieces of evidence.